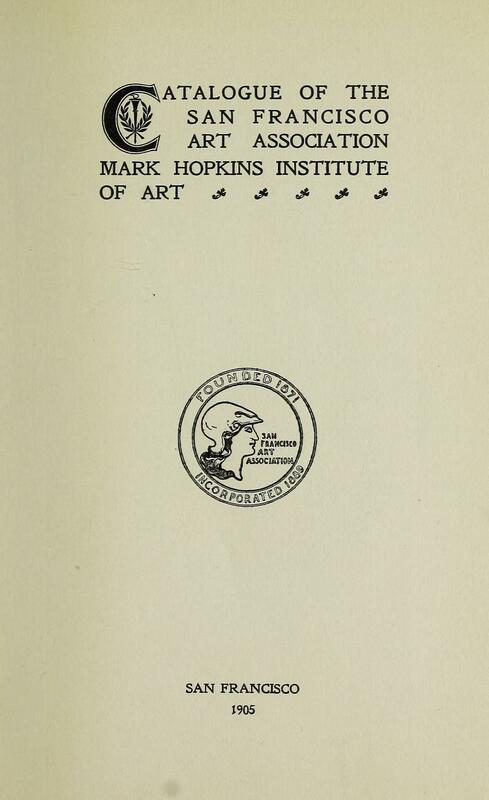 1905 San Francisco Art Association, Mark Hopkins Institute of Art, San Francisco, CA, "Annual exhibition", [unknown date]. 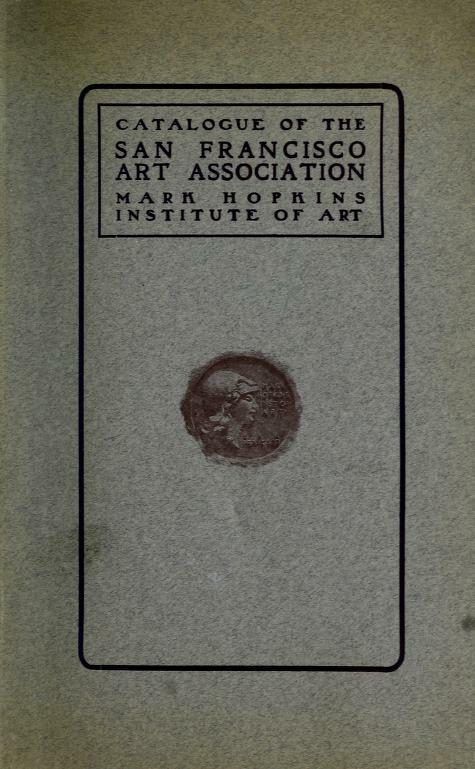 1905 San Francisco Art Association, Mark Hopkins Institute of Art, San Francisco, CA, “Annual exhibition”, [unknown date]. Exhibition name: 1905 San Francisco Art Association, Mark Hopkins Institute of Art, San Francisco, CA, “Annual exhibition”, [unknown date]. Exhibition host name & location: 1905 San Francisco Art Association, Mark Hopkins Institute of Art, San Francisco, CA, “Annual exhibition”, [unknown date]. 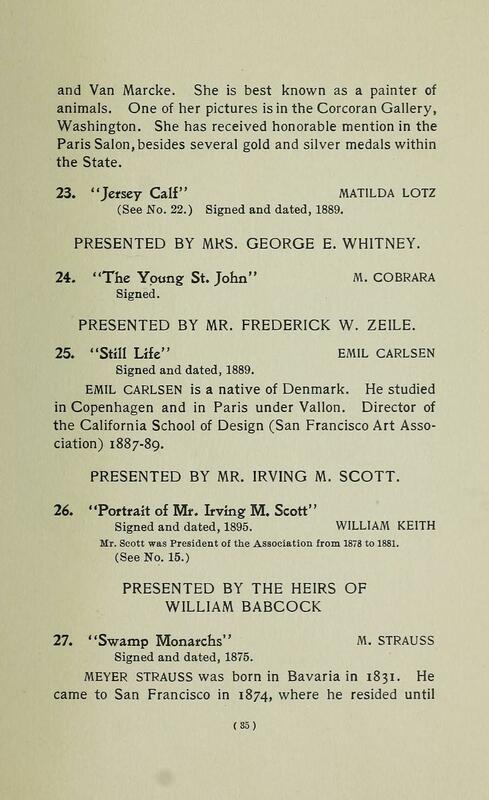 Exhibition dates: 1905 San Francisco Art Association, Mark Hopkins Institute of Art, San Francisco, CA, “Annual exhibition”, [unknown date]. Exhibition sponsor: 1905 San Francisco Art Association, Mark Hopkins Institute of Art, San Francisco, CA, “Annual exhibition”, [unknown date]. Presented by Mr. Frederick W. Zeile. Emil Carlsen is a native of Denmark. He studied in Copenhagen and in Paris under Vallon. 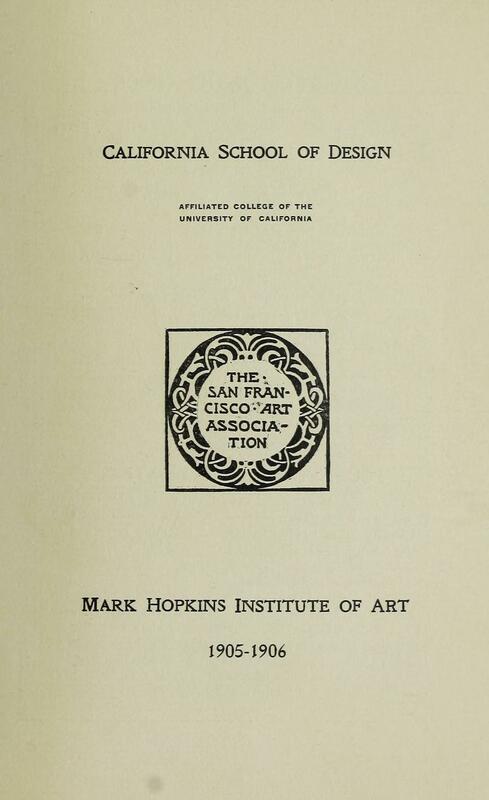 Director of the California School of Design (San Francisco Art Association) 1887-89.